The Merry Wives of Windsor is not a particularly great play on its own merits. It’s a silly “one more time, just for the financial benefit” retreading of beloved characters from superior plays (most notably, Henry IV’s breakout star Falstaff). It can be amusing, I would imagine, if staged innovatively with the unhelpfully broad weak points sidestepped in interesting ways. Almost anything can be at least enjoyable if cast right and directed well (I even found a Comedy of Errors that I liked last spring). But Stratford director Frank Galati didn’t even take a stab at innovation- he just cast well and leaned the incredible weight of a major mainstage production on the actors’ shoulders- not something even the best in company can handle on their own. The 19th century setting is completely arbitrary, giving absolutely no important information or context on the characters and their story. Not a single character is interpreted particularly differently than every production before this and only the occasional sight gag is added to the unoffensive but uninspiring script. I’m all for telling a story simply without the bells and whistles of too much “interpretation”- King Lear, for example, needs very little help to get off it’s feet; stage and act it well and Shakespeare will do the rest- But when it comes to Merry Wives of Windsor, the intensity with which Willy was phoning it in leaves the play desperately crying for a daring director, which Frank Galati just flat out is not. That said, this production probably sports the best all-round cast of the entire Stratford season. 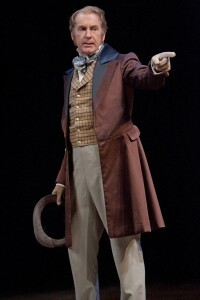 The company’s most valuable member, Tom Rooney, has won raves for his madcap performance as the paranoid and jealous Master Ford, not a single one undeserved. His counterpoint, Master Page, as played by the infinitely cool Tom McCamus, is appropriately unmemorable in his level-headed apathy. I’ve grown fond of Ryan Field’s energy over the course of the season so greatly enjoyed his take on Peter Simple while Christopher Prentice stood out among Anne Page’s many boring and broad suitors with the sort of zany/wonderful performance that suggests an excitable man desperately trying to keep control of his limbs. Janet Wright, the award winner for worst actress of the season, makes a terrible Mistress Quickly. That part is iconic- funny and bawdy and generally wonderful. Wright is not only unintelligible but seems completely uninvested as she wanders through the role with nothing to differentiate her character from the walls. Wright is reputed to be a legendary actress on the Canadian stage but after her performances this year I’m tempted to recommend she retire. Geraint Wyn Davies is an interesting subject, speaking of theatrical titans. The scene-stealing star promised to be a highlight of the season when he was handed one of The Bard’s greatest roles. And don’t get me wrong, his Falstaff isn’t the least bit bad. I am growing tired of his plethora of UK accents when his costars aren’t using them, but Wyn Davies’ Falstaff is generally a bright and amusing interpretation. Amusing, not hilarious. Maybe it’s my own fault but with an actor of Wyn Davies’ caliber I was expecting hilarious, I was expecting greatness. I got merely good. The actual Merry Wives, on the other hand, deliver the greatness I was waiting for. The hilarious Laura Condlln teams with Stratford’s go-to lady for exuberant comedy, Lucy Peacock to form a Lucy and Ethel of Shakespearean proportion. Their plots are trivial but delivered by such capable leading ladies with brilliant chemistry and dead-on comic timing, the schemes of Mistresses Ford and Page are somehow more than they are. Bolstered by a truly sensational cast, Frank Galati’s uninspired Merry Wives of Windsor is passably good, if only for the sheer star power of standouts like Rooney, Condlln and Peacock. 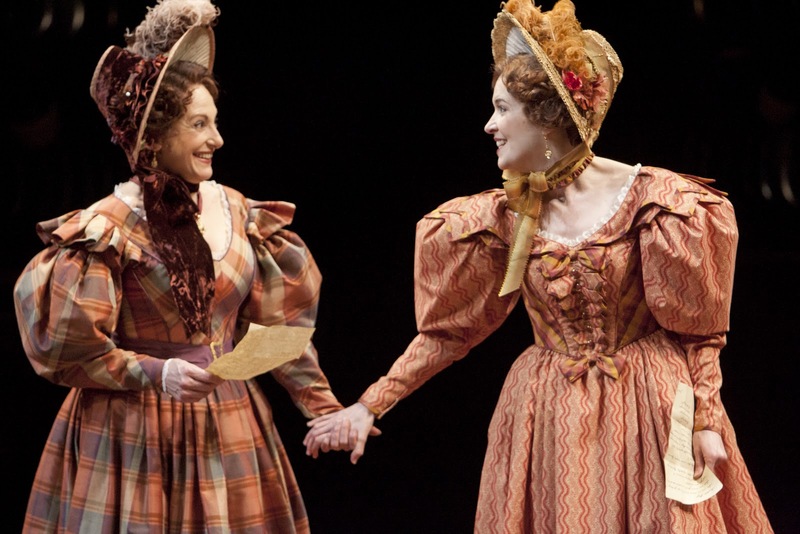 The Merry Wives of Windsor plays at the Festival Theatre in Stratford, ON until October 14th.